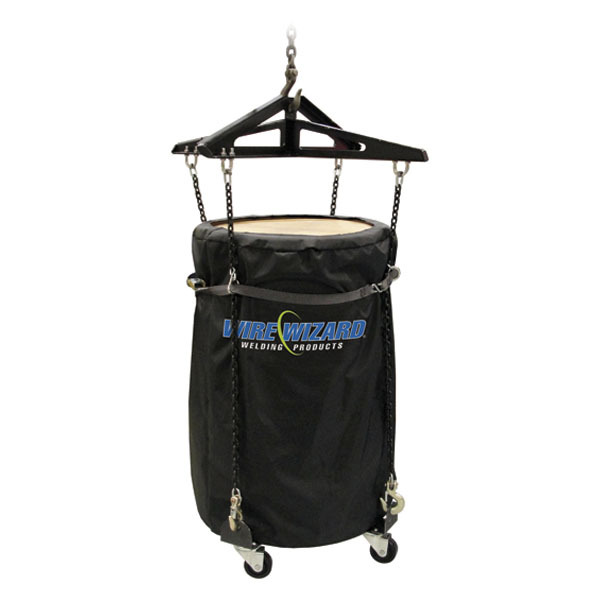 The Wire Wizard® Overhead Safety Lifter is designed to safely lift drums and environmental packages of wire overhead by securely attaching to Wire Wizard® drum and skid dollies, providing strong support for the base of the drum. 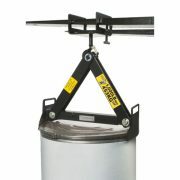 Each lifter kit includes the lifting device, heavy duty chains and drum or skid dolly. Fork lift adapter also available. 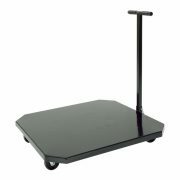 1500 lbs (680 kg) capacity.